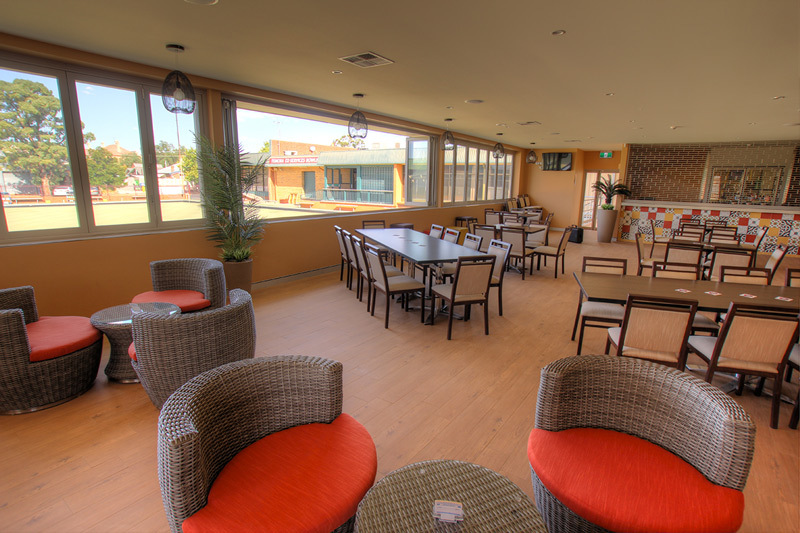 The Frank Matthews Lounge is used throughout the day to relax and enjoy watching a game of bowls through concertina windows that open up the whole width of the wall giving a great outdoor effect whilst remaining indoors away from the elements. This room can host up to 80 people for private functions offering built in food servery facilities and a bar for that touch of class. This room caters well for cocktail type functions and more relaxed birthdays with lounge and tub chairs to make your night comfortable. To book one or more of these rooms please contact our reception.